Remember your visit to this famous street. Or maybe you can’t.!! Anyway, I am only trying to remember them from the photos that the Stokers showed me..
Jim, I didn’t think Bugis Street was there in the 40’s? Tell the truth Jim, you can BS very well. I am told you were always first ashore! Was this an organised visit to a local Museum by this group? things, the the Mk2, Mk3 and Mk4* incorporate the improvements dictated by usage. .
What, Gunther? You mean you never went to Waimate on a Friday night? 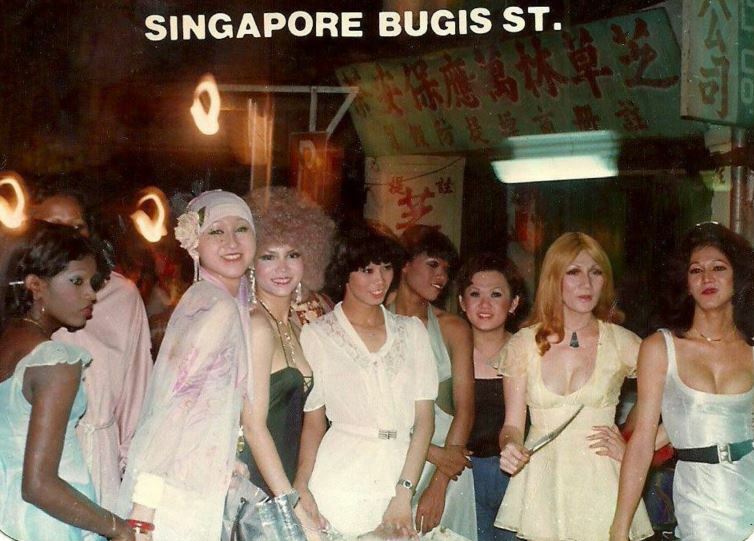 the name Bugis Street does not ring a bell with this oldie probably because vast areas of S’pore were “out of bounds” to all Military Personnel and a view from a rickshaw showed a large capital R surrounded by a circle painted on the side of the tallest buildings. . Red Caps policed these areas. Eric (Dits) Dutton tried to converse with the rickshaweer but “no arrt arv barnds” from the lad from Darby only bought a silly grin. at the Latest Generation …the Mark VI * Mod 8 Version…the Missile era…Bugis Girls is due. Did you have to surf for this on the internet Jim B, or was it already bookmarked on your browser! !